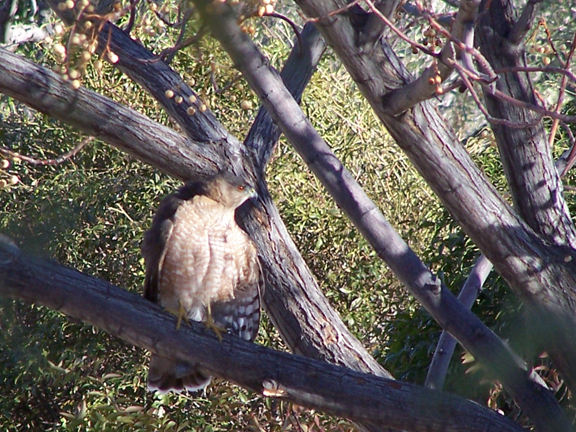 It looks like Todd’s Backyard has become the favorite local dining spot for some of our fierce feathered friends! We can’t sit outside for more than a moment, when a furious flurry of chirps and squawks erupt, along with a burst of birds scattering in all directions…chased by a hawk looking for dinner! 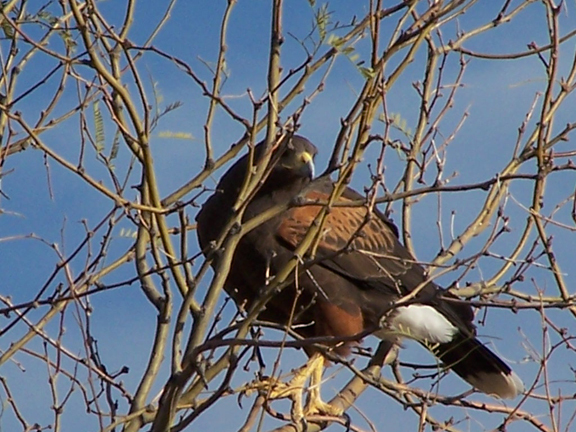 Probably the most awesome, is the Harris hawk- certainly one of the larger birds we see. His wingspan is almost 4 feet! You surely know when he’s around! 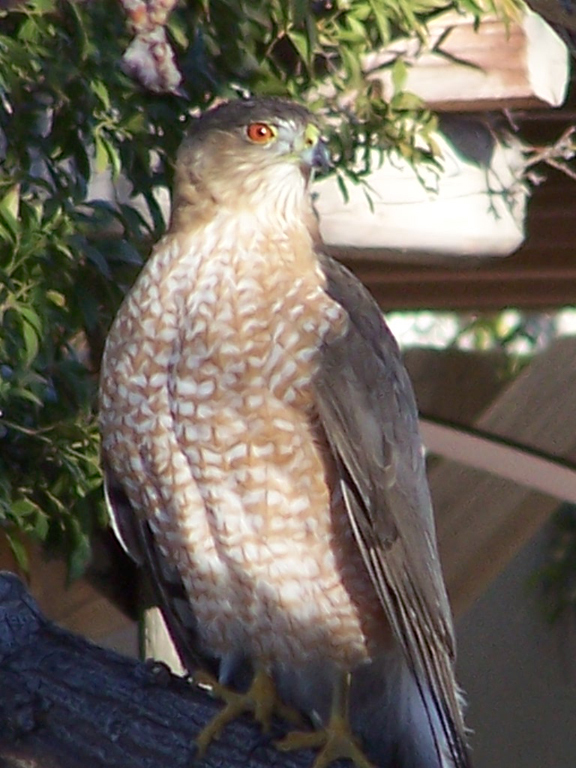 I think this is a Cooper’s Hawk. They’re a little harder to spot ’cause they really blend in! 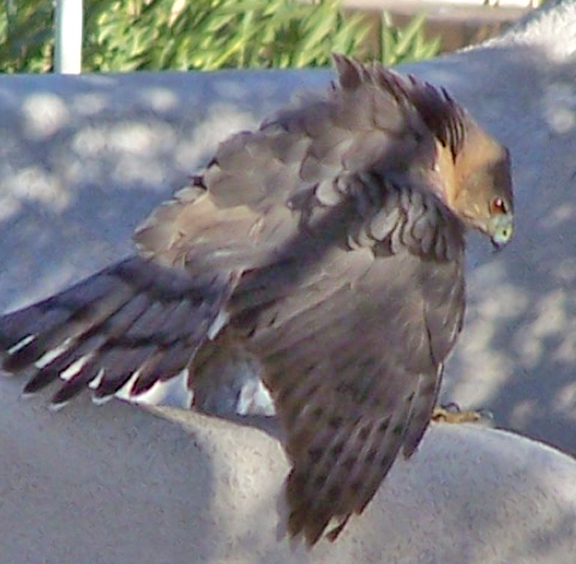 Extremely stealthy…We’ve seen these guys pick a dove right out of the sky and vanish. The only evidence of conquest, is a rain of feathers gently floating to the ground where the action took place. This guy treated us to a little dance one afternoon. We watched him fluff ‘n’ puff, hopping and screeching, up and down the wall of our neighbor’s fence…..Looking for love perhaps? It was a dazzling display that lasted for a good 15 minutes. We never did see the object of his desire, but we heard the other hawk calling back. 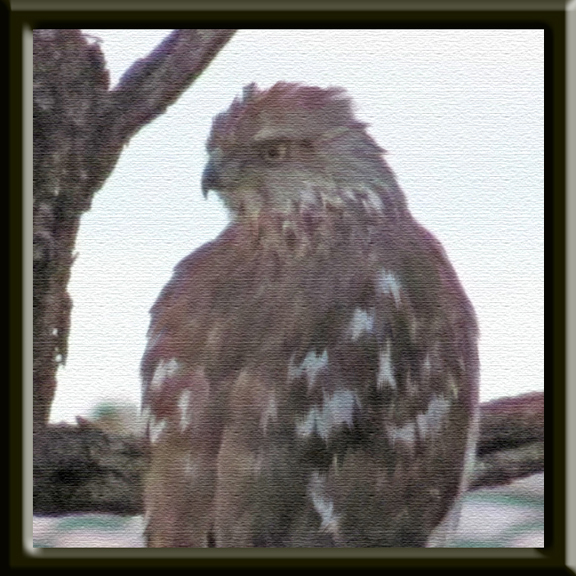 This is my favorite ‘Hawk Shot’! Gorgeous! As we look forward to the blasting furnace of summer in the desert, we could only hope that the hungry hawk’s flash and dash might create just enough wing generated breeze – perhaps to cool, but certainly to awe! ← Things are Heating Up! I knew that you would be able to set me right if I got it wrong! Thanks for confirming. We’ll get together soon for sure!